Kevin Olekaibe put on a paramount 28-point performance as the ‘Dogs beat defending Western Athletic Conference champion Utah State 60-54 in Saturday’s Heroes Night at the Save Mart Center. 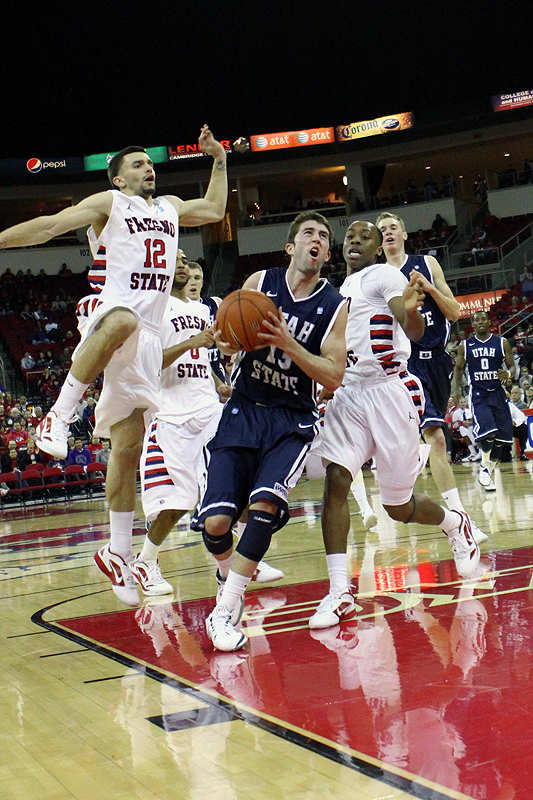 The win marked the first time Fresno State has beaten the Aggies since 2007, ending their 10-game win streak against the ‘Dogs in front of an announced crowd of 7,590. 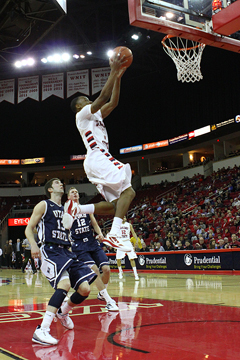 But the win didn’t come easy for the ‘Dogs as head coach Rodney Terry said preparation for the game began early in the week. 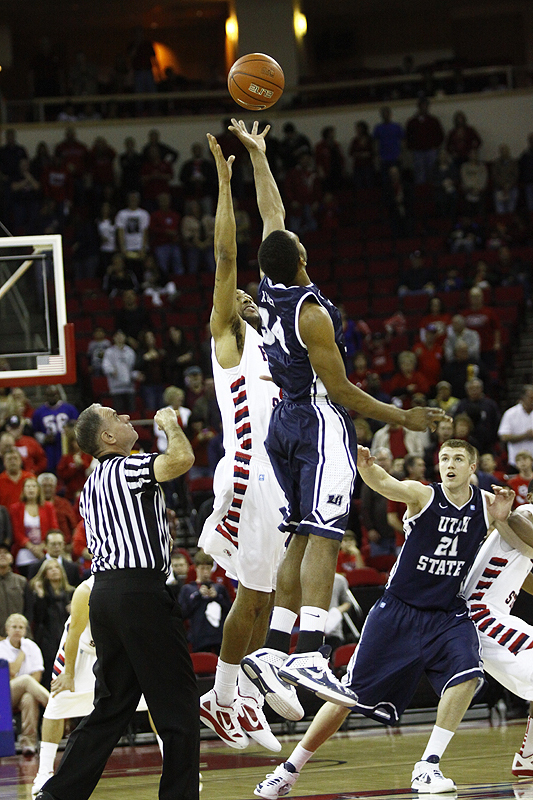 And the preparation paid off. 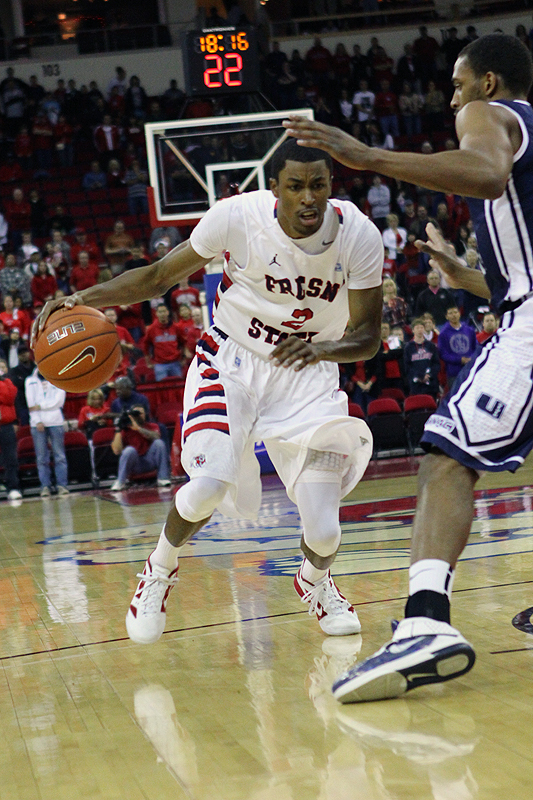 The ‘Dogs are on a two-game turnaround after losing three consecutive conference games last week. 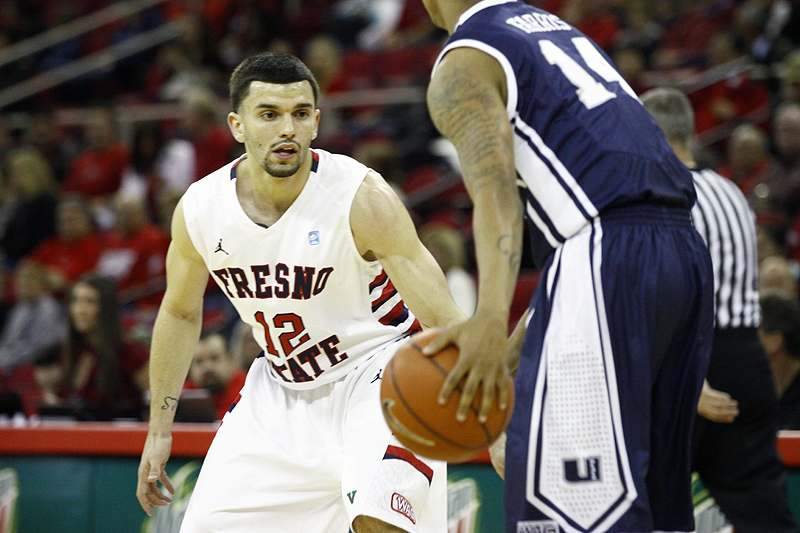 Senior Steven Shepp led the ‘Dogs with four steals and junior Tyler Johnson finished with three as Fresno State forced 16 turnovers, 12 coming on steals. 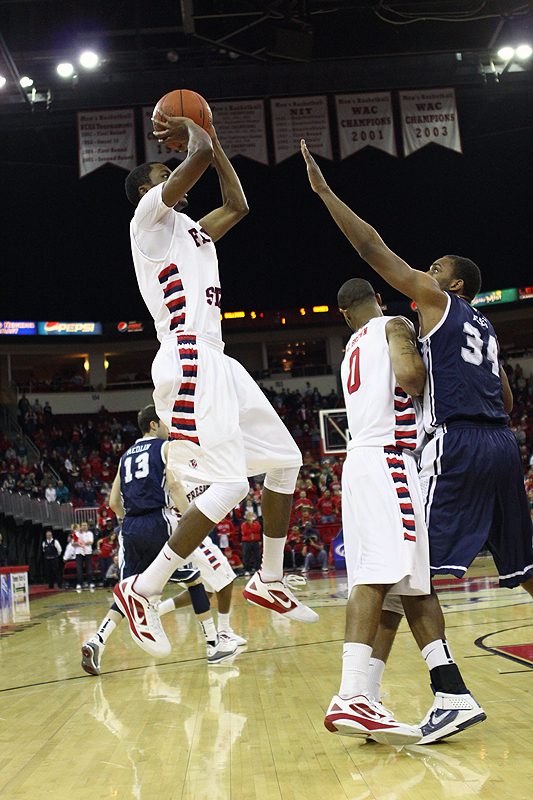 On the other side of the ball, the ‘Dogs only had three turnovers, tying a school record from 1984 against Long Beach State. 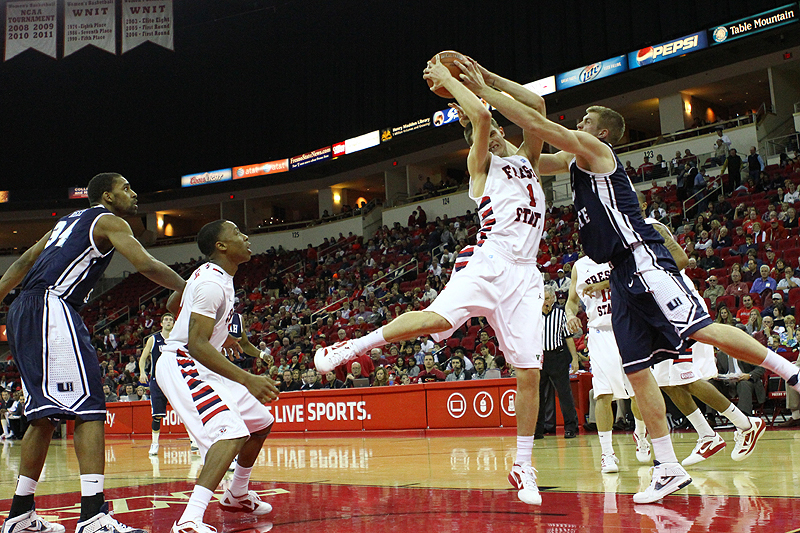 The ‘Dogs held their ground defensively, leading the entire game and only allowing the Aggies to tie the game just once at 34-all with 11:04 remaining. 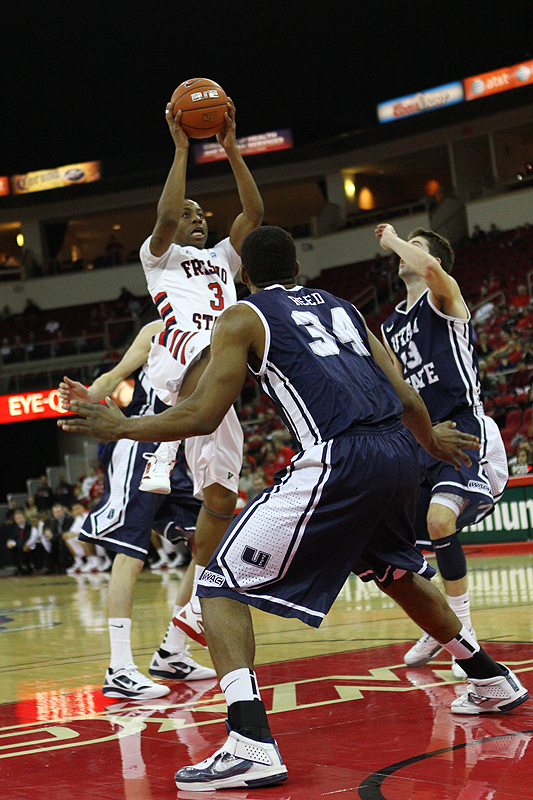 The second half also saw an increase in scoring as Olekaibe scored 17 of his 26 points in the final 20 minutes. 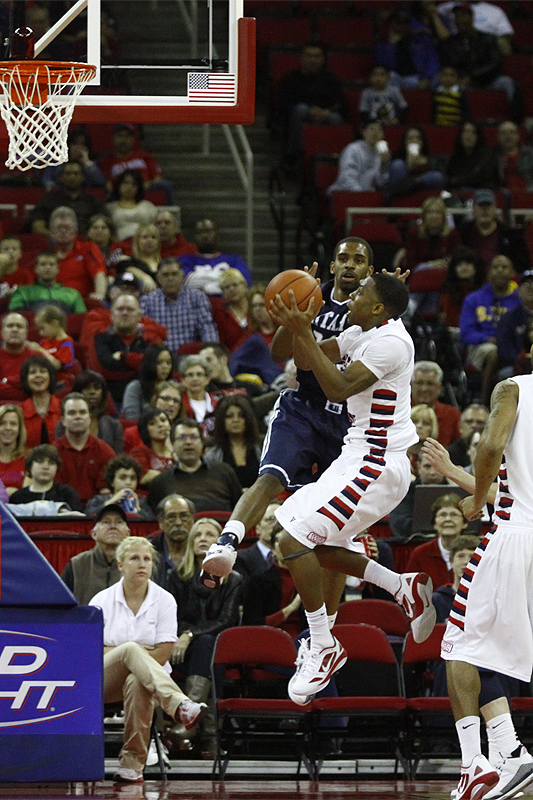 The sophomore guard was 10-of-21 from the floor and 4-of-7 from behind the 3-point line. 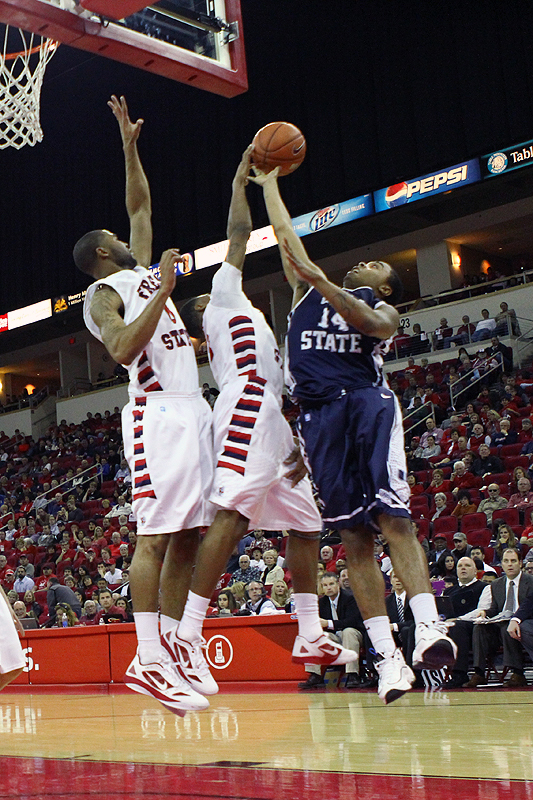 Olekaibe was the anchor in the Bulldogs’ win, playing more minutes than any other player on the floor. 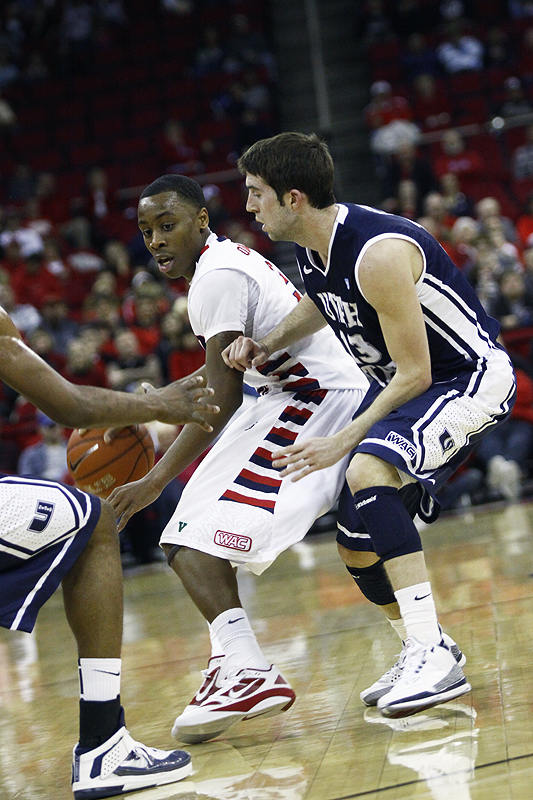 Sophomore Tyler Johnson found his teammates on the open floor, connecting for five assists on the night, while also sinking 12 points including a perfect 4-for-4 from the free throw line. 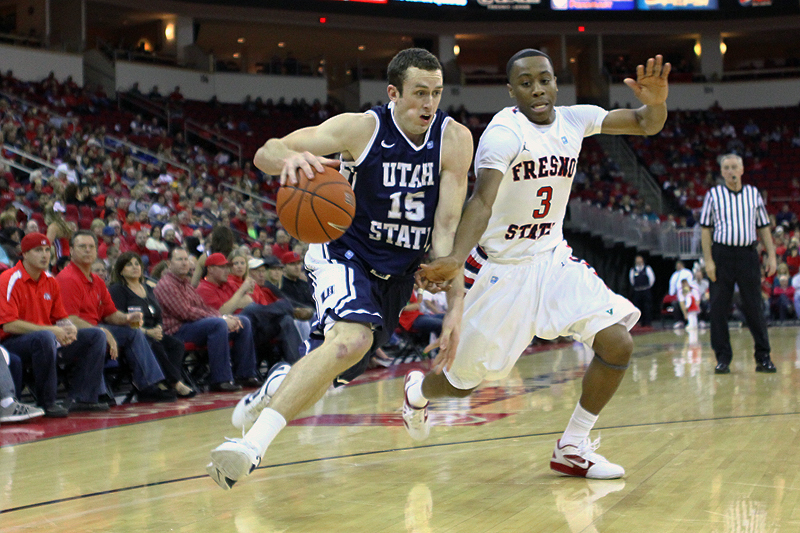 Jerry Brown, aka “The Governor,” dominated the glass, grabbing a game-high eight rebounds, tying Utah State’s Morgan Grim. 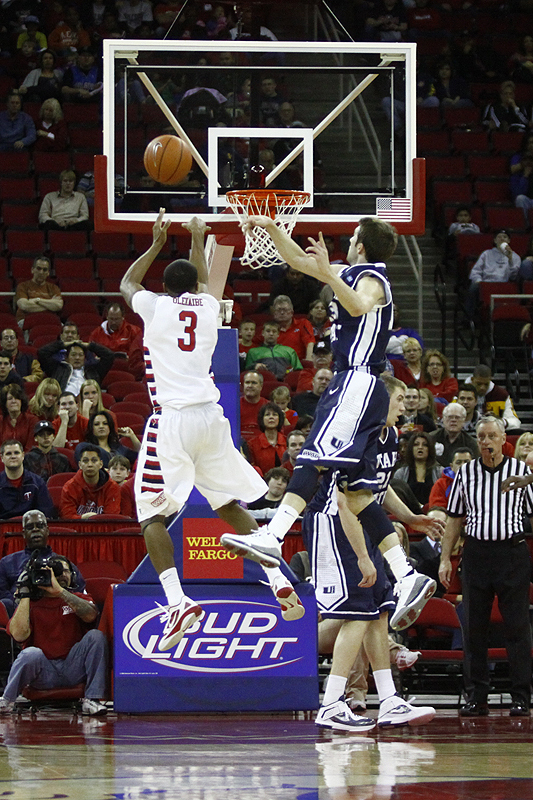 Brown finished with 14 points in 35 minutes. 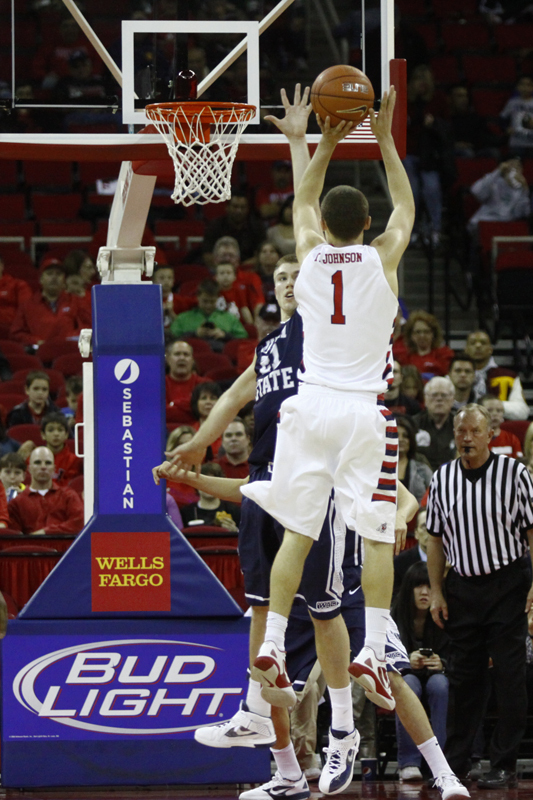 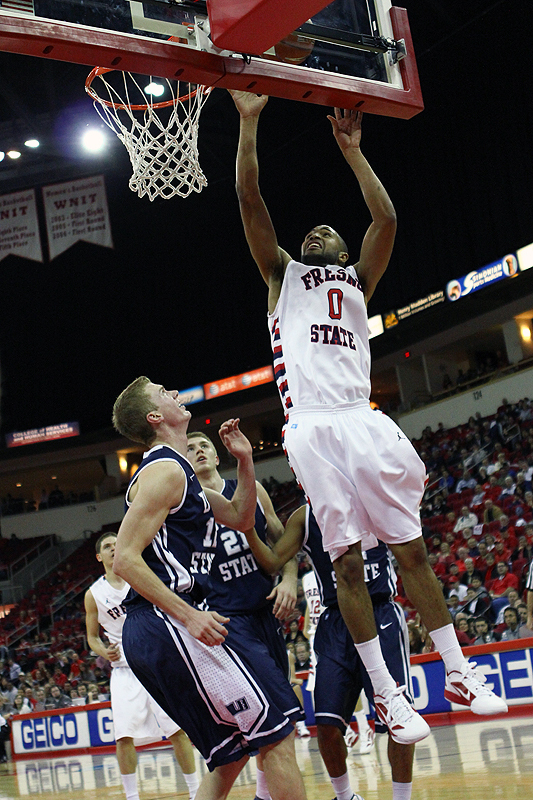 Fresno State improved to 3-6 in conference and 11-14 overall. 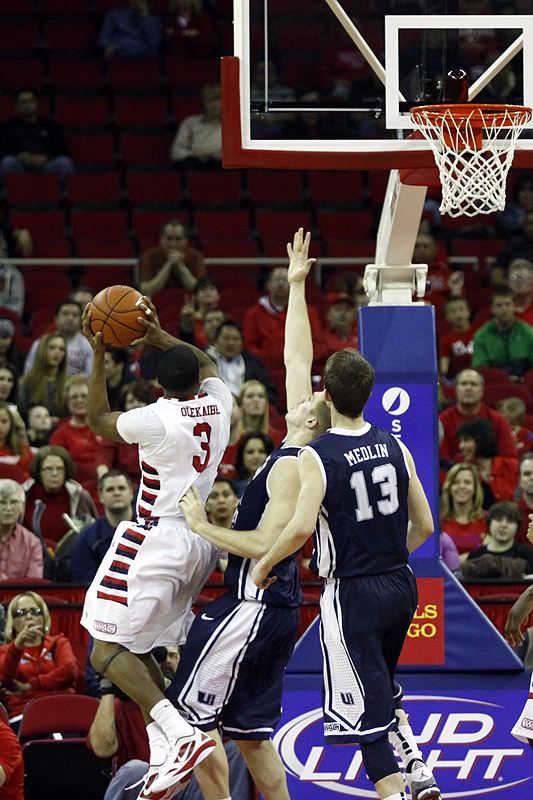 The win also marked a two-game turnaround after the ‘Dogs finished 1-6 in the first half of conference play. 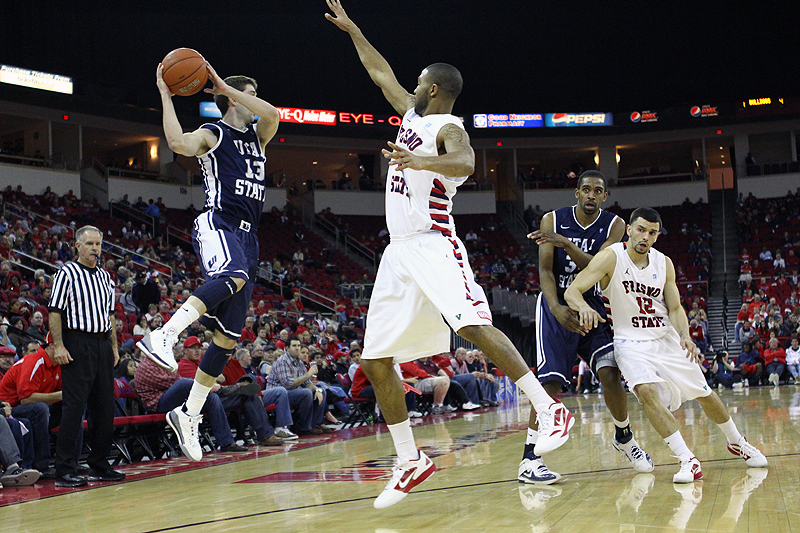 The Aggies fell to 4-5 in the WAC and are an even .500 at 12-12 overall. 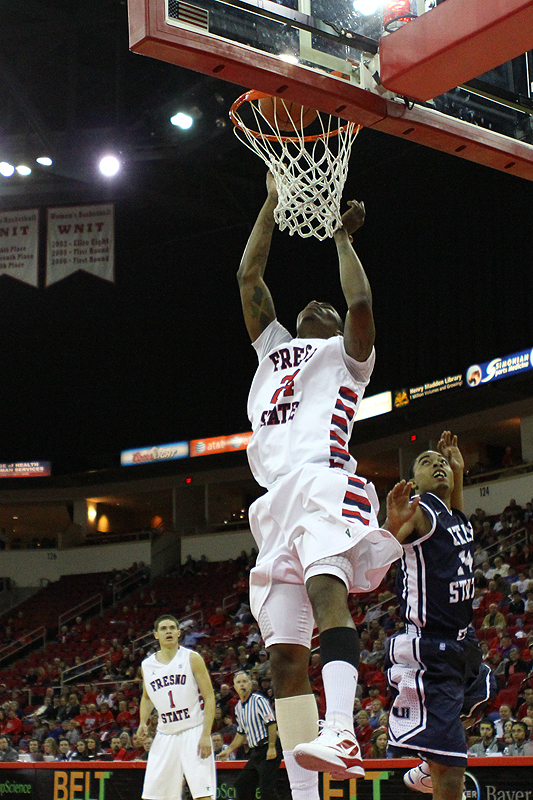 Saturday’s game was Fresno State’s final home contest before upcoming trips to San Jose State and Hawaii in its final WAC road stretch of the regular season.